I just had to post this blog for Jenna and Joe’s wedding reception. They had the wedding reception held at the Meeting House Grand Ballroom in Plymouth. During cocktail hour there was a live pianist that was friends of the bride and groom. What was really nice about the party was that one of Jenna s sorority sisters put together a slideshow for dinner. It had flash graphics and everything, I never seen anyone dedicated so much time to such a small detail. The pictures and complimenting background music made for a nice touch before we started the dancing. I just got their satisfaction survey and they made a great suggestion to cut the longer songs early. Usually for the formal dances that are long, I will tell the bride and groom to give me the head nod when they would like the song cut. Oh yea, be sure to view their satisfaction survey. 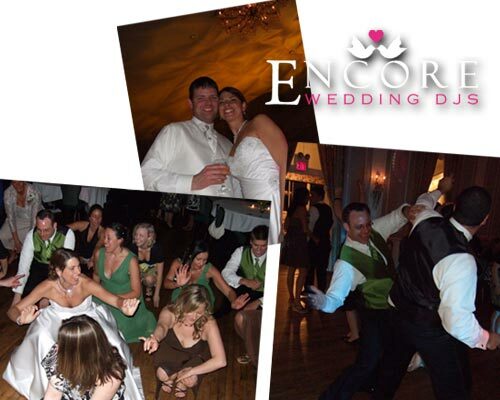 Looking for wedding DJs in Plymouth, then check our availability on the right.